Join us this summer at the Farmers Bottom Site for a glimpse into Georgia’s past! The Late Mississippian ‘Lamar’ Period (ca. A.D. 1375–1670) may well be the time boasting the heaviest American Indian occupation in northeast Georgia. However, despite the abundance of cultural materials and other data elsewhere that testify to this, a focus has always been placed on the “big sites.” In the case of the Mississippian Cultures, of course, this means the mounds. Already our ongoing work at the Farmers Bottom Site, which has no mounds, is helping to change our understanding of the history of this region! 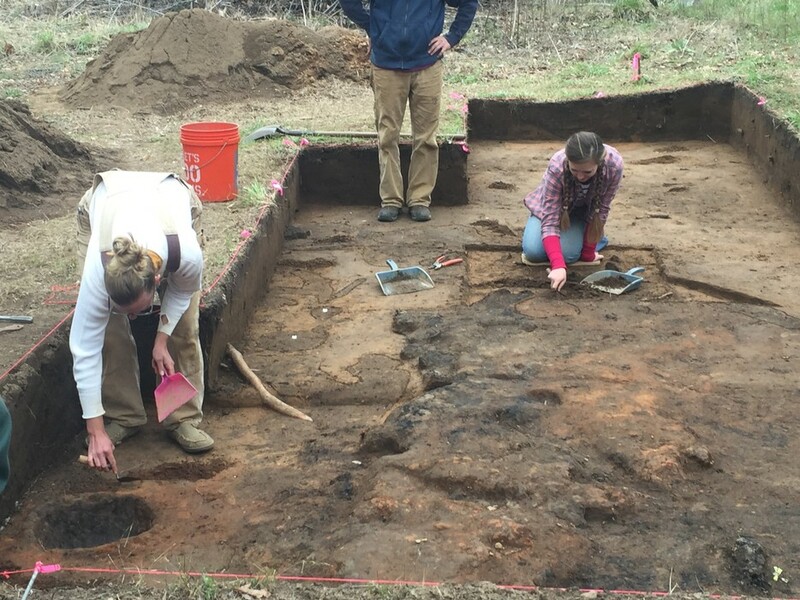 This summer, PIT volunteers, Forest staff, and consulting archaeologists from Southern Research, Historic Preservation Consultants, Inc. will continue to carry out test excavations at ‘Site 9ST62,’ located on a wide terrace of the Middle Fork of the Broad River. So far, we have identified two houses occupied at different times during the Late Mississippian period and are working at excavating as much of these structures as possible. We think we may have identified the location of an Early Mississippian (A.D. 1000-1200) occupation at the site as well, and we’ll be conducting additional excavations there. The area is beautiful and we hope you will join us in June for this unique and important project!